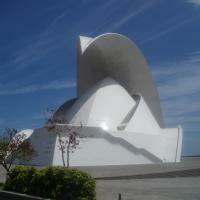 Santa Cruz de Tenerife (municipality). It has a population about 206,593 inhabitants, the area is about 151.50 km², it belongs to Provincia de Santa Cruz de Tenerife, its autonomous community is Canary Islands, its density is 1,363.65, its number of homes is 96,290 , 24,972 buildings are registered in this place, it has 98,920 counted men, it has 107,673 counted women, the average altitude is 41.29 m, there are 0.92 males for each female, su alcalde es José Manuel Bermúdez, the average house price is 1,151.70. There is information in Classora Knowledge Base about 12 rankings, reports and surveys.